On Friday 5th October 2018, we opened the doors at Peshkar HQ to a new batch of artists looking to join our artist development pool. Our call went out in September and we were thrilled with the amount of applications that we received from a huge range of artists. Our artist development programme started in earnest in its current form in 2016 and in this time we have seen over twenty artists pass through the programme at varying stages, engaging in training opportunities, applying and taking up commissions with our partners and taking part in international opportunities. Our programme is agile, just like us and shifts and grows in response to both our partners and the artists that come through our doors. 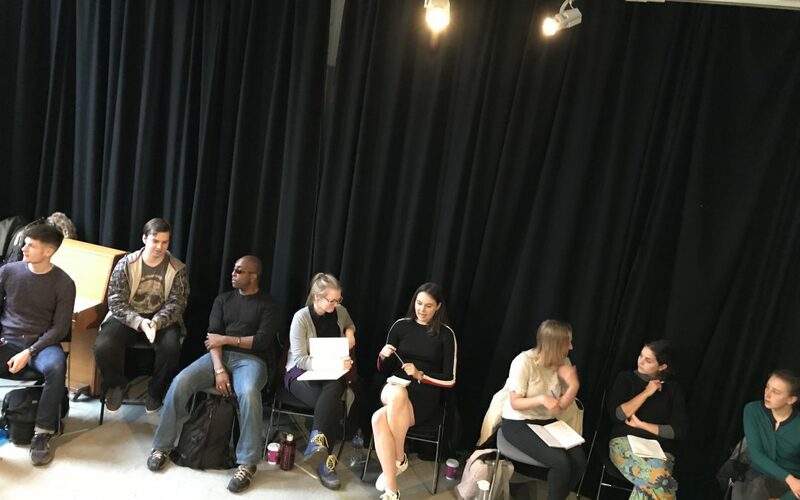 In the past two years we have run training sessions on subjects as diverse as behaviour management, the Creative Case for Diversity, digital practice, the life of the freelance artist and our most recent piece of training, evaluation and monitoring. We can’t wait to learn more about the artists who have come to join the pool and we will be launching a series of new commissioning opportunities in the next couple of weeks, so prepare to see some new faces on our social media feeds in the next few months.